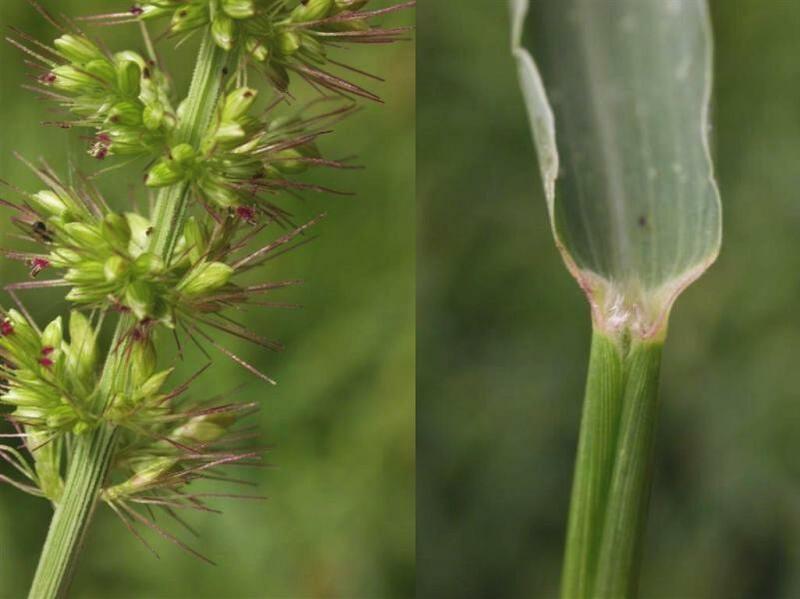 Setaria verticillata.florets and ligule.Herbario de la Universidad Pública de Navarra.www.unavarra.es (Accessed 3/2017). 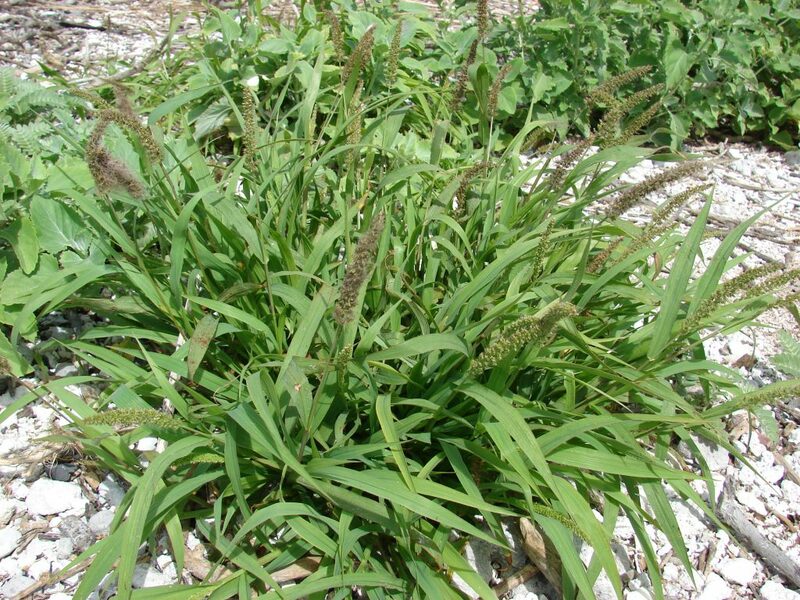 Setaria verticillata is an annual C4 grass (Waller and Lewis 1979) to 1 m tall, much like the above. Leaves alternate, 10-25 cm long, 0.5-1.5 cm wide, rough on both sides, sheath margins hairy near top. Flower spikelets about 0.2 cm, first glume 1-veined, fertile lemma wrinkled horizontally; inflorescence erect, yellow-green to purplish 5-15 cm long, axis hairless, clusters of spikelets are whorled and spaced further apart along axis especially near base, making spike appear somewhat lobed, one barbed bristle below each spikelet, 0.4-0.7 cm long; self pollinated; blooms and fruits July-Oct. Seeds eaten by numerous birds and small mammals (Martin et al. 1951). Seeds germinate May-June. Habitat: Open, disturbed sites, roadsides. Notes: Intolerant of shade. Notes: plants eaten by rabbits (Martin et al. 1951). A host to the nematodes Meloidogyne sp. and Pratylenchus pratensis and an alternate host for mosaic viruses of wheat and barley (Steel et al. 1983).